I thought I'd share some of my doodles. 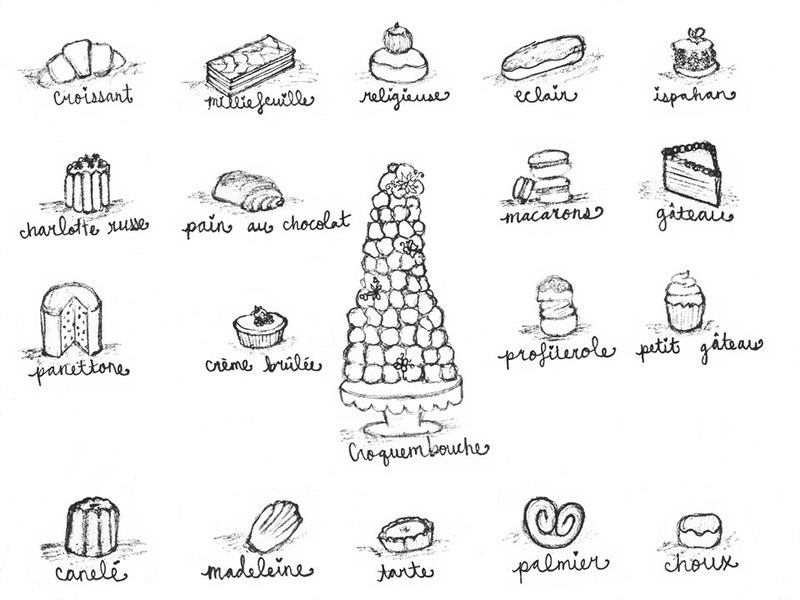 I drew this while writing book two in the Poppy Peters mystery series as a little reference for myself of French sweets. I think I might frame it, and hang it up somewhere. What do you think? The release date of book three is not official yet, but it's coming very soon!